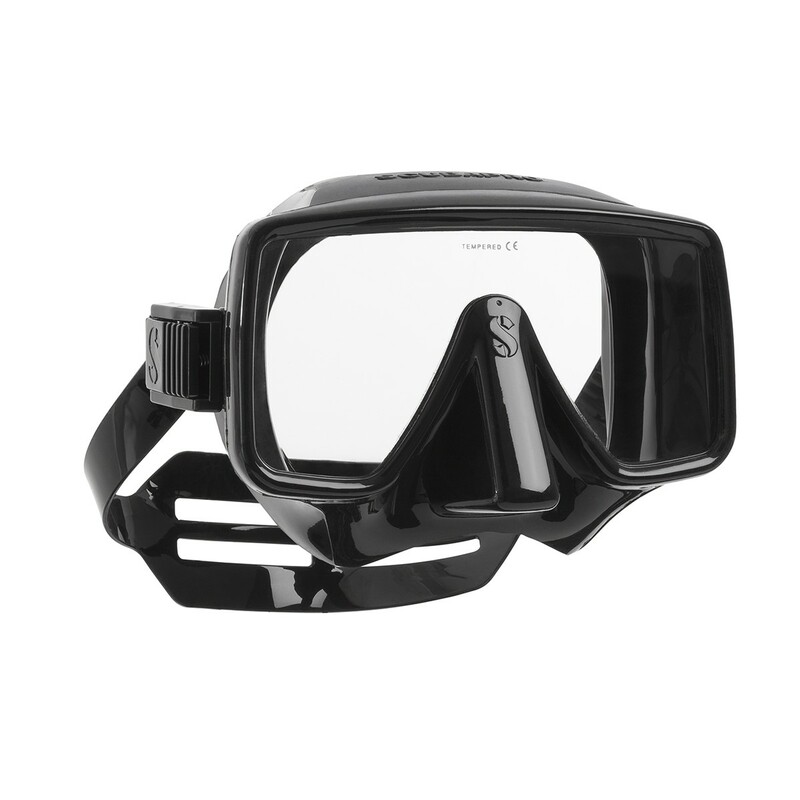 Scuba Pro's Frameless Mask is a Single Window Lens Design for a Superior Field of Vision. 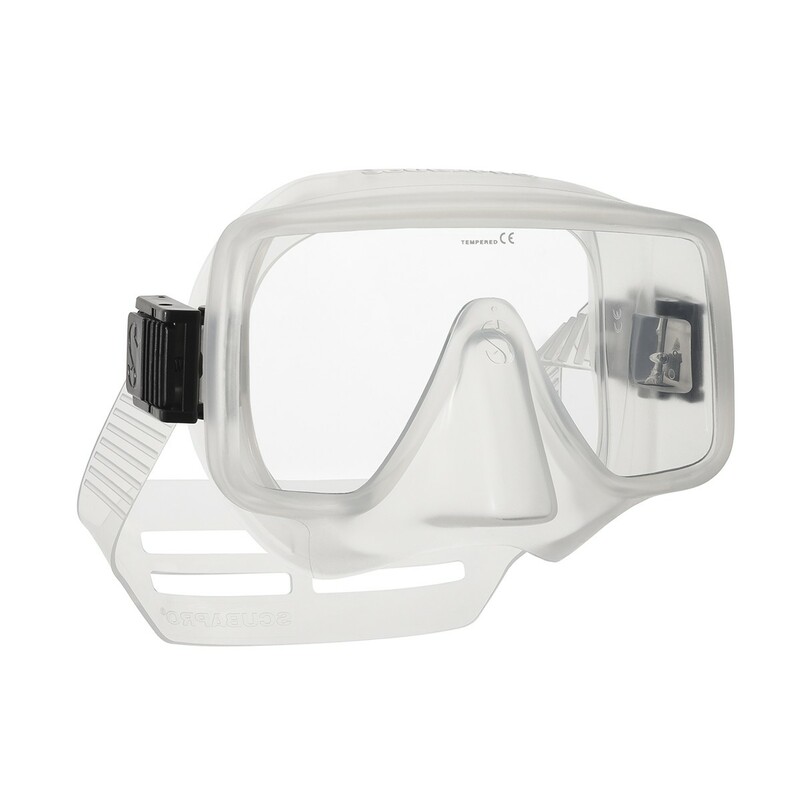 Mask has a Tempered Safety Glass Lens and a Quality Double Feathered Edge Silicone Rubber Skirt for Great Comfort and Fit. 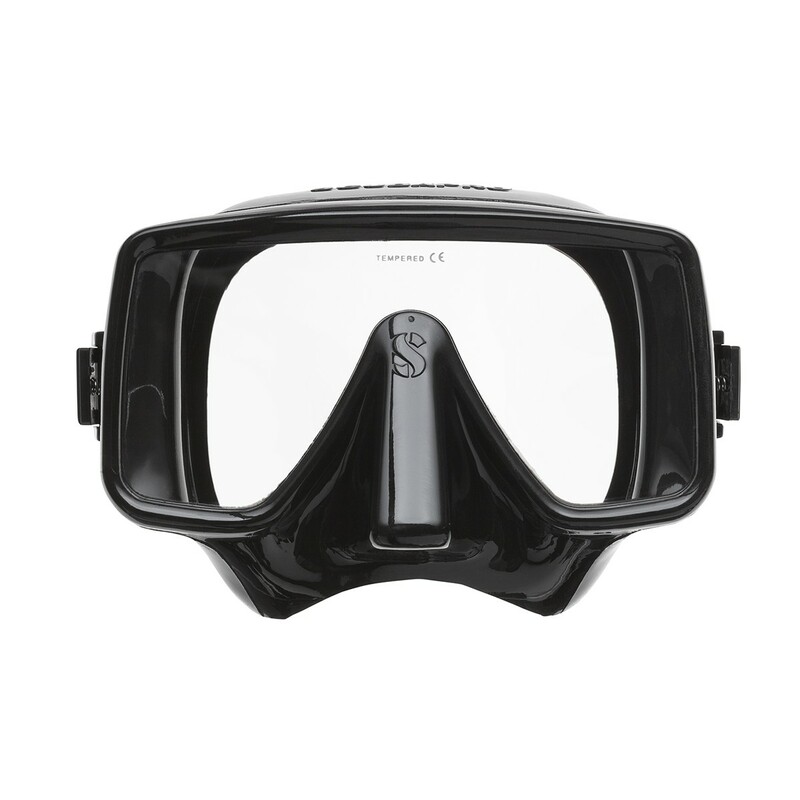 The Unique Assembly of the Lens and Skirt without a Frame Reduces Weight, Size and Lowers the Masks Overall Internal Volume for a Streamline Style and a Snug Fit. 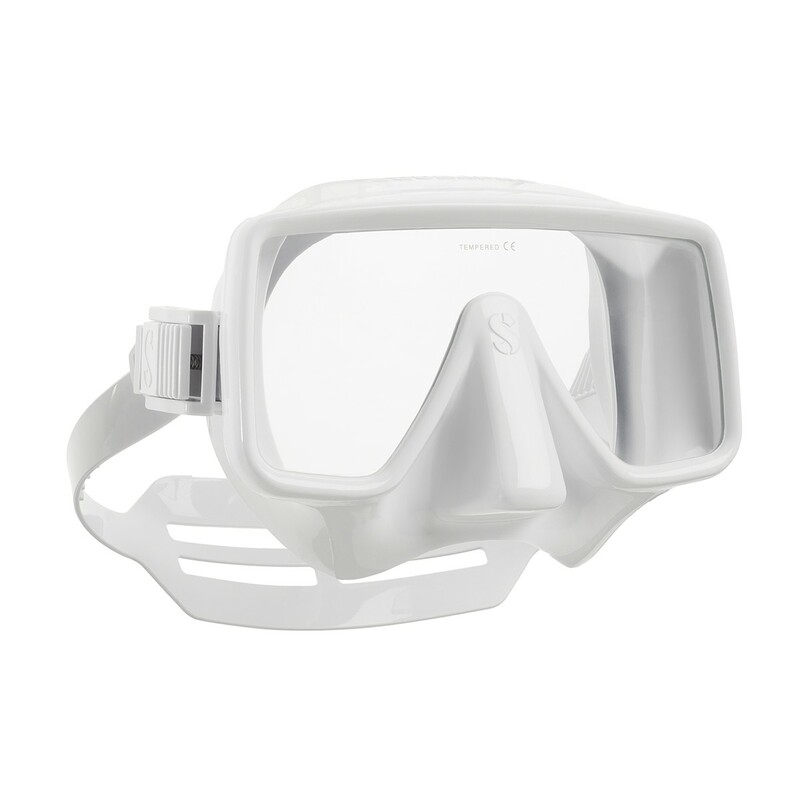 This Classic Robust Quality Mask positions the Buckles on the Exterior of the Mask Body for Convenience and Comfort. The Buckles System is easily adjusted with One-Hand. Mask has a Large Easy to Reach with Gloved Hand, Nose Pocket for Ear Equalization. The Wide Split Strap Design provides even tension on the face for a Perfect Seal.